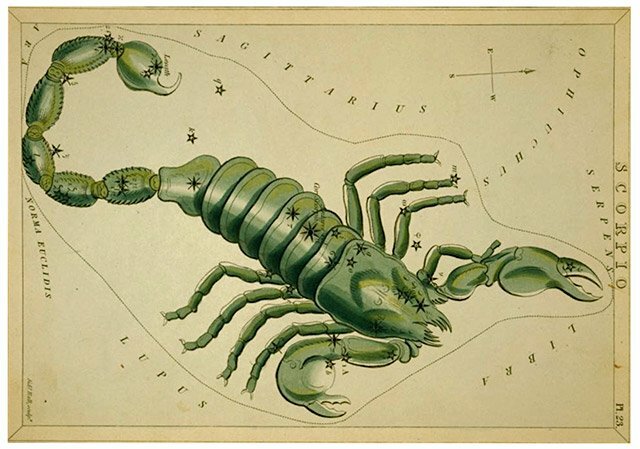 What does it mean if your Star Sign is Scorpio? Passionate, exacting, loves extremes, combative, reflective. → Click here to read your Scorpio horoscope! The symbol for Scorpio is the scorpion. This creature was chosen because it typifies many of the characteristics of this sign. The scorpio person is not necessarily aggressive on its own, unless provoked and in general would rather be contemplative. They crave alone time and often become extremely annoyed when they don’t get it. Scorpio people are great secret keepers and feel each emotion more intensely than other signs. Perhaps because of this they are able to be quite discerning when assisting people with their problems. They are able to cut to the bottom line and show others the best and the worst in their lives. Scorpio signs are not fearful individuals, often trying things that others would not attempt. This is because they most often become self-aware at an earlier age than most other signs. This also gives them a custodial feel toward other signs and they have an inflamed sense of justice when it comes to standing up for those who lack that ability. Scorpio signs are very interested in what makes people tick on the inside and are often in fields that allow them to discover things about the internal workings of others. Upside: Scorpio exhibit extreme self-control in many areas, and as a result expect that of those around them. They are disciplined, protective and are very interested in others. They give of themselves but do expect the same in return. Scorpio males and females both need to be the leaders, and excel at problem solving and troubleshooting projects and situations. Downside: Scorpio invented the term ‘vendetta’. Once a Scorpio is crossed, they don’t forget it. Female Scorpio are worse about this than they others, often going decades without making amends with friends and family. Scorpio also tend to be pessimistic, often seeing threats where there aren’t any, which can make them suspicious, stubborn and paranoid without cause. Scorpio is a water sign, like Cancer and Pisces.